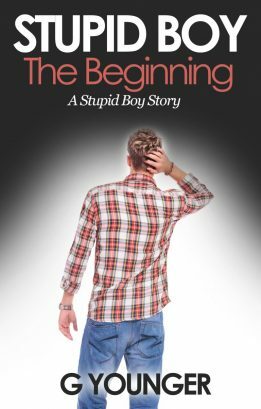 Buy Stupid Boy The Beginning now! Second book of A Stupid Boy Story series. Teenage boy growing up in the Midwest learns about relationships and sports. Join this stupid boy as the girls in his life guide him through the highs and lows as he tries to navigate freshman year of high school. Buy Freshman Year Fall now! 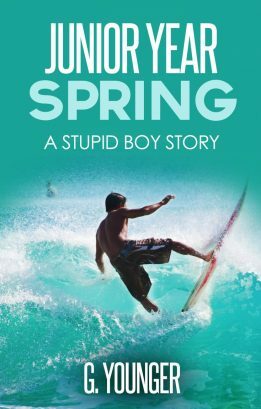 Third book of the epic coming of age A Stupid Boy Story. David is faced with recovering from the avalanche and the news of his mom’s illness. Read as he faces challenges and starts to become a young man. Buy Freshman Year Spring now! 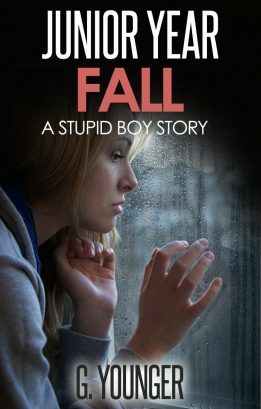 Fourth book of the epic coming of age A Stupid Boy Story. David has an action packed summer planned that includes a boy’s weekend, football camps and modeling. Sounds like a recipe for fun. Buy Freshman Year Summer now! 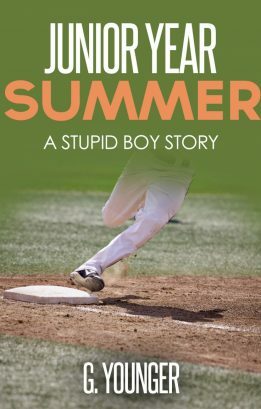 Fifth book of the epic coming of age A Stupid Boy Story. David’s world is turned inside out when his best friends leave for college and a new football coach wants his son to now lead the team. 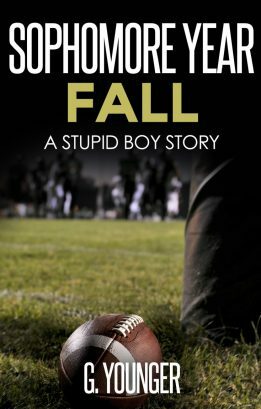 David and his friends face a group of seniors bent on ruining their football season. How can you be a team player when your teammates don’t want you to play? Buy Sophomore Year Fall now! Sixth book of the epic coming of age A Stupid Boy Story. David and his friends have reached their goal of winning a State Championship. Now it’s time to do something different … make a movie. Buy Sophomore Year Spring now! Seventh book of the epic coming of age A Stupid Boy Story. Tami’s back from the UK. Can she and David ever be friends again? Can they ever reach their someday and be each other’s one and only? While they work on that David has to focus on football. Summer camps go a long way in determining rankings. David discovers a camp where he can compete with the top quarterbacks in the nation, Elite 11. How will he stack up? Buy Sophomore Year Summer now! 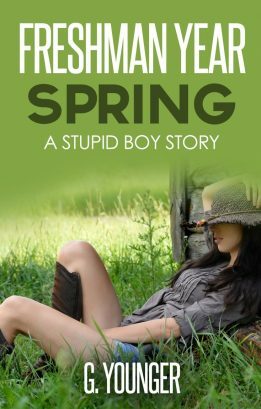 Eighth book of the epic coming of age A Stupid Boy Story. David’s Junior Year is beginning with a sharp edge to it. His best friend is dead. The girl he’d thought he would spend the rest of his life with is now lost to him as well. He’s facing new challenges and pressures due to his rapidly increasing fame. He doesn’t just want to survive – he wants to excel. He’ll have to reach deep inside himself and find the inner strength and toughness, the resolve and focus, to achieve his dreams. Buy Junior Year Fall now! Tenth book of the epic coming of age A Stupid Boy Story. Star Academy is about to come out and David is nervous what people will think. If it is a success he knows that people will push him to go into movies full time. What will that mean for football and baseball? Eleventh book of the epic coming of age A Stupid Boy Story. Beth has declared her love, but David is off to shoot his new movie in exotic Cuba. His director seems to hate him. Buy Junior Year Summer now!